Look around at today´s youth and you can see how technology has changed their lives. They lie on their beds and study while listening to mp3 players, texting and chatting online with friends, and reading and posting Facebook messages. How does the new, charged-up, multitasking generation respond to traditional textbooks and lectures? Are we effectively reaching today´s technologically advanced youth? 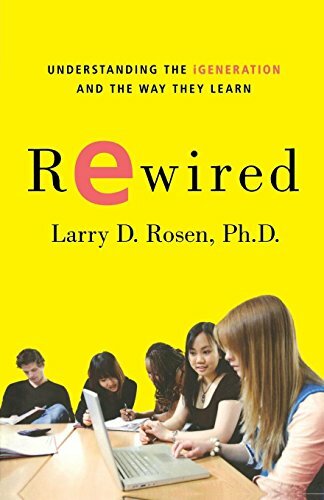 Rewired is the first book to help educators and parents teach to this new generation´s radically different learning styles and needs. This book will also help parents learn what to expect from their “techie” children concerning school, homework, and even socialization. In short, it is a book that exposes the impact of generational differences on learning while providing strategies for engaging students at school and at home. Release date March 30, 2010.